Loading Dock Bumpers - Freyer Best Prices Online. Loading Dock Bumpers are an important part of any material handling system. Choosing the correct type for the loading dock in your warehouse or facility is critical. There are many things to consider when installing a new system or updating your loading dock area for changing conditions. 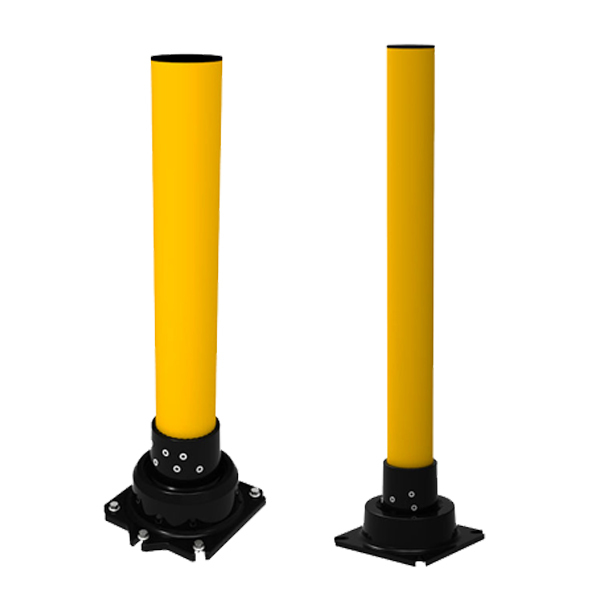 Choosing the right material and installing Loading Dock Bumpers correctly can add years of uninterrupted service to your dock seals, dock levelers and other loading dock equipment. No matter what your job requires, we will provide it. We can easily match your old bumper for an easy replacement and installation of new dock bumpers. You may have issues with truck height, energy bills, steep approaches, overhangs or new loading dock equipment. Whatever it may be, Freyer is here with a solution. We have a best fit for refrigerated loading docks, warehouses, factory walls, and work areas of all types. Freyer is standing by with helpful experts eager to assist you. It is our mission to provide our customers with a great product at a great price. Call us direct or take advantage of our Loading Dock Bumpers installation and solutions guide. Submit one of our handy forms to receive a quick quote on small or bulk orders. For quick check out scroll down to the tables on any product page and select your bumper. Click “Order Now” for easy checkout and shipping with zero markup. We look forward to serving you. Laminated Dock Bumpers, made from laminated rubber are ideal for loading docks with heavy-duty traffic. 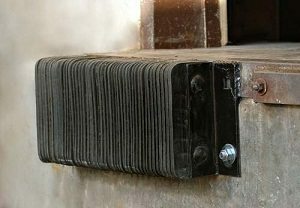 Laminated rubber plies are assembled under extreme pressure to create a tough and reliable product. Our laminated dock bumpers are weather resistant, maintenance free and absorb up to 80% of impact forces over many years of service. Standard Loading dock bumpers come in 4.5” and 6” thicknesses. Lengths vary from 10” to 36” inches. Extra-Length Dock Bumpers are of the same build, quality and reliability as our standard laminated loading dock bumpers. 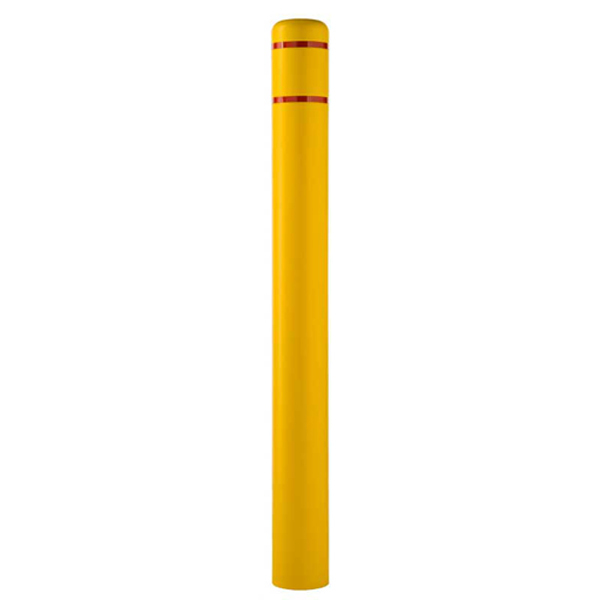 Coming in lengths of up to 123” these bumpers can span the entire length of your dock face. Creating a seal with unloading trucks keeping temperature-controlled air in and the elements out. This cuts down on energy costs and lost man hours due to illness from exposure to outside conditions. 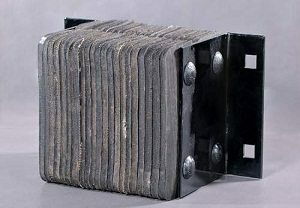 Extra-Thick Dock Bumpers with extra-thickness are made with laminated rubber and built with an extra-thick projection. 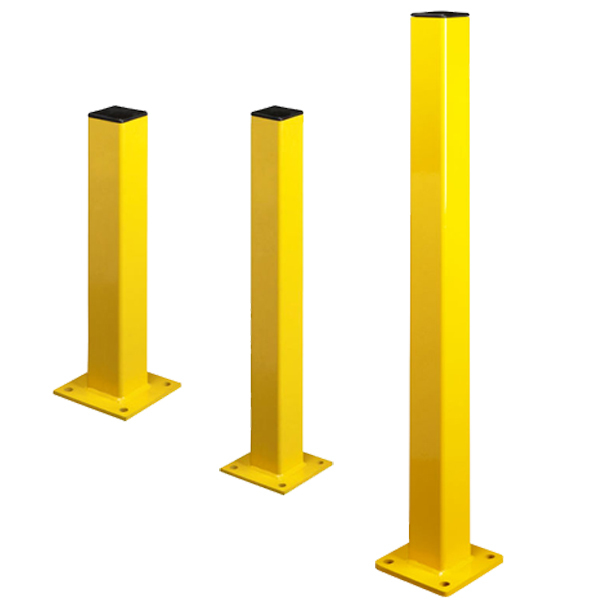 Ideal for use in loading docks with steep approaches, canopies or overhangs to provide extra stand-off distance. 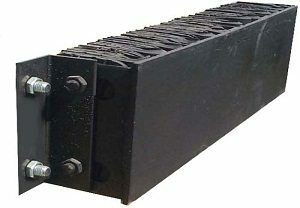 Extra-thick rubber loading dock bumpers come in projections of up to 12 inches. 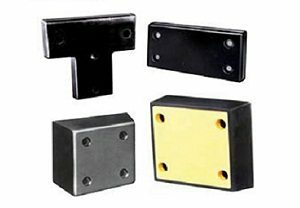 If greater stand off distance is needed, gussets and other custom mountings can applied to your installation. 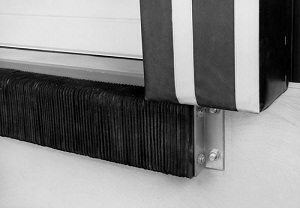 Dura-Soft Dock Bumpers are constructed with the same 3/8” steel plate as our standard steel-faced bumpers, but also included a patented woven rubber design. This allows the Dura-soft bumper to absorb over 80% of impact forces. These dock bumpers take the heaviest loads while floating on their hinged woven rubber mounts. Dura-soft heavy-duty steel-face bumpers are a great solution to counter heavy loads. 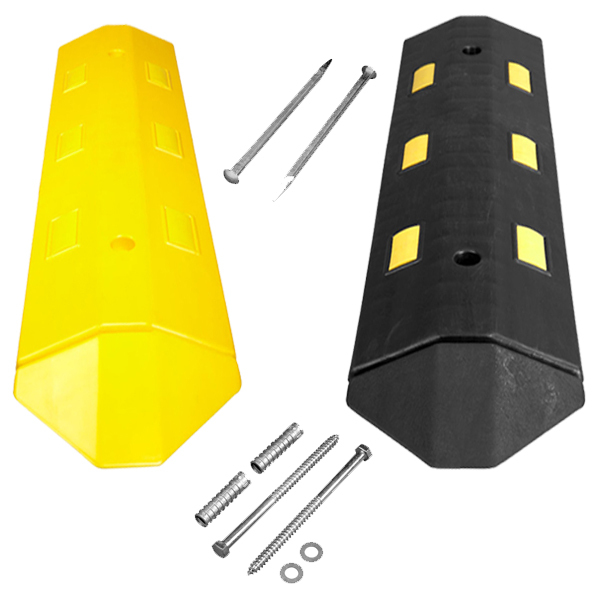 Steel-Face Dock Bumpers are constructed with 3/8” steel plate which can give twice the service life. Ideal for docks with friction and up and down movement such as a loading dock with a dock leveler installed or where air-ride trailers are common. Steel-face dock bumpers are tough, absorbing up to 70% of impact, and built to last. 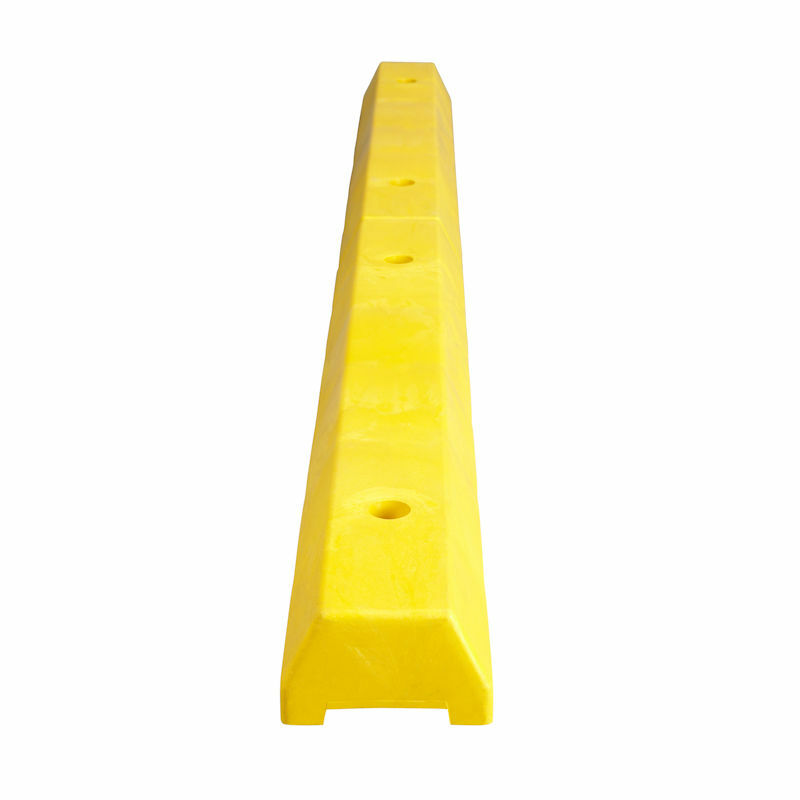 Molded Dock Bumpers are great for any low to medium traffic area. One-piece construction makes them reliable and tough. 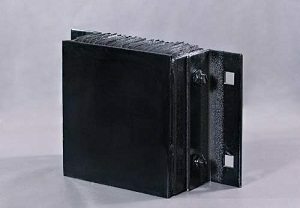 Molded rubber loading dock bumpers are weather resistant and can be used indoor or out in the elements. They are a great fit for a variety of applications. Please shop our wide selection.